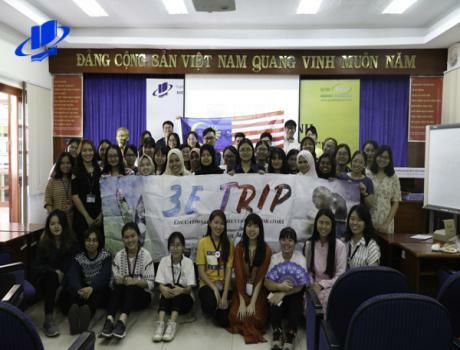 Since 2017, Ho Chi Minh City Open University has cooperated with JICA organization in standardizing Japanese Language training missions in OU. Mr. Asano Tetsuya – volunteer from JICA was deputed to teach and work at OU. To acknowledge, remember as well, this effective cooperation in mutually collaboration relationship. 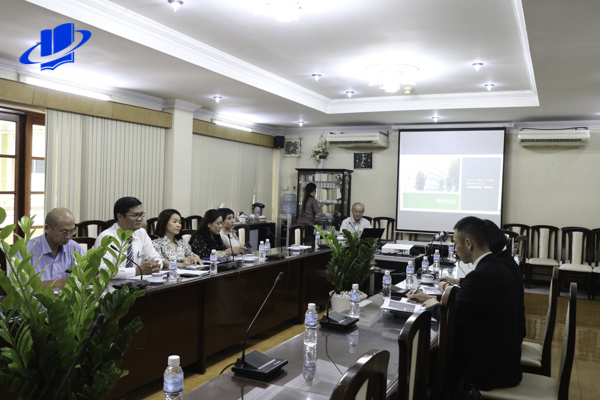 On March 7th 2019, the intimate meeting between Ho Chi Minh City Open University and JICA Organization – Japanese International Cooperation Agency was happened. 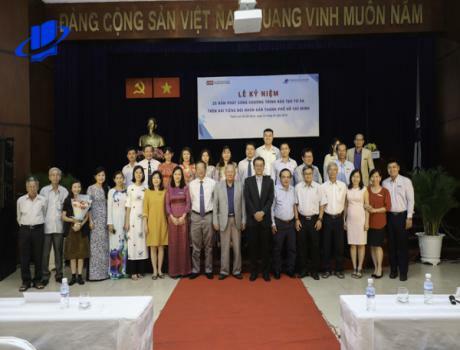 About the guests who took part in the program, from Ho Chi Minh City Open University, we had: Associate Prof. Nguyen Minh Ha – Vice Rector of OU, Representative of OU Office of Cooperation & Research Management and lecturers from Department of Japanese Language. From JICA Organization, we proudly to welcome Mr. Nagase Hikaru – Senior Advisor of JICA volunteer program, Mrs. Nguyen Thi Ngu – JICA Vietnam Officer. 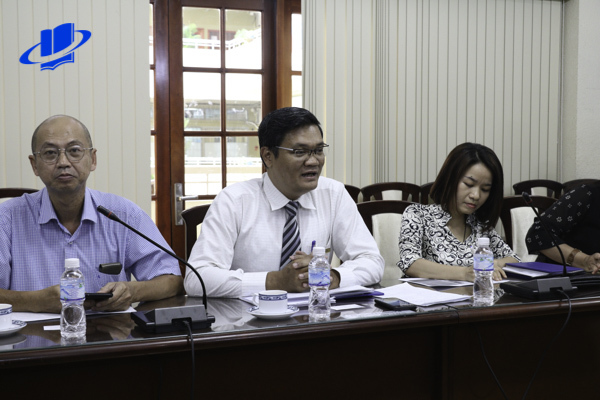 At the meeting, OU representative – Mr. Nguyen Minh Ha sent the sincere thanks to JICA Organization and Mr. Asano Tetsuya. During the whole time worked at OU (a year and 3 months), Mr. Asano Tetsuya, a enthusiastic lecture in teaching and training missions; a well-qualified partner in developing Japanese Language at OU. For special, Mr. Asano had many precious contributions. He and the Japanese Language students won the first prize in The Japanese Eloquence Contest for the universities in the South on March 3rd 2018. 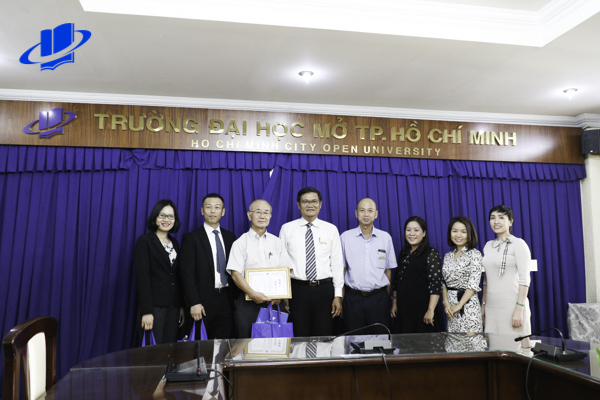 At the same time, he surely affirmed that Ho Chi Minh City Open University will always welcome and widen the chance for more volunteers to come and work at OU. Besides, OU and JICA also express their hope to long-lasting cooperation, keep going on the success in the past and look forward to the new achievements in the future, as well better the gold relationship between Japan and Vietnam. Based on the statistic in 2018, the percentage of Japanese Language student who had the occupations right after graduation accounts for 98% with the good feedbacks from a lot of enterprises about the student qualification and skills. 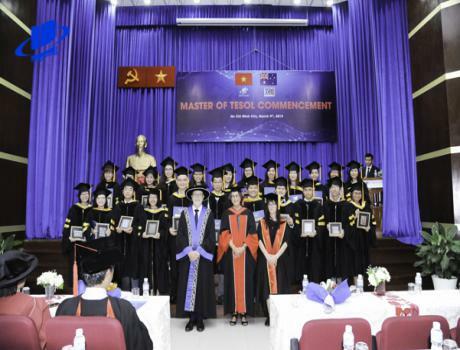 Ho Chi Minh City Open University promised that they will gradually advance the training quality, widen the practical and high-applicable study environment through some meetings and seminar with Japanese schools; set the open space for students to completely develop their latent abilities, increase the employment chances for them in the future.